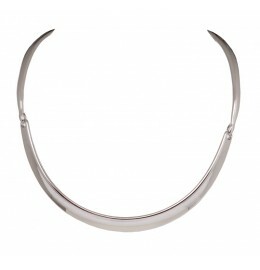 Metal necklace with waved front. Shiny gold colour plating. 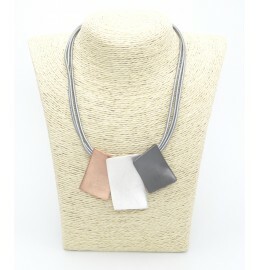 Leather necklace with 3 strings in beige and grey. 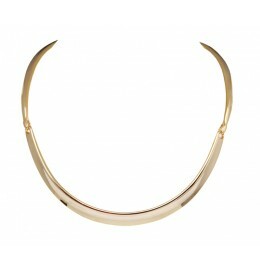 Metal decoration in brushed silver, -gold and -rose gold. Necklace with light grey real leather strings. 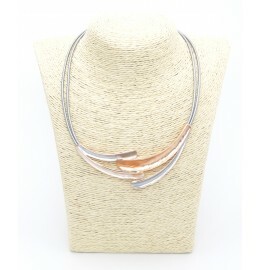 Metal elements in silver- and rose gold colour, finished with enamel. 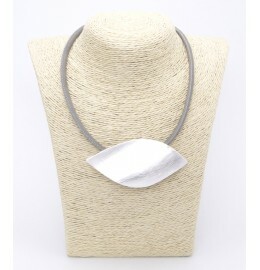 Necklace of light grey real leather. Metal pendant with rhodium and hematite plating decorated with sandwash. 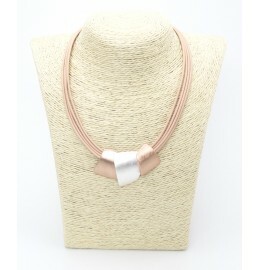 Necklace of real leather in rose brown colour. Metal pendants with rhodium and rose gold plating. Light grey real leather stiched necklace. Metal pendant in rhodium plating with sandwash structure. 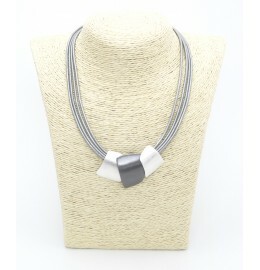 Light grey real leather necklace with 3 strings. Metal pendants in rose gold, matt silver and hematite with sand wash structure. Wire necklace with 3 wires. 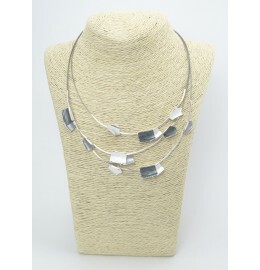 Metal elements with rhodium plating and decorated with white and grey tones enamel. Finish with metal rhodium tube beads. Wire necklace with 3 wires. 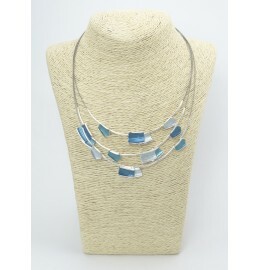 Metal elements with rhodium plating and decorated with light grey and blue tones enamel. Finish with rhodium metal tube beads.